Before we get too far, we should mention that not everyone will have access to ESPN3. ESPN has decided to adopt a business model similar to that of a cable TV network for ESPN 3. Your ISP needs to pay ESPN a fee to be able to access the site. Most major suppliers, such as Verizon, Comcast, AT&T have paid the fee and their subscribers get access. Time Warner added ESPN3 recently, but only if you have both Internet and Cable with Time Warner. And, although most of you probably know this (or assumed it) already, you’ll also need to be on a broadband connection. If you aren’t sure if your ISP carries ESPN3, check the entire ESPN3 Affiliate List. 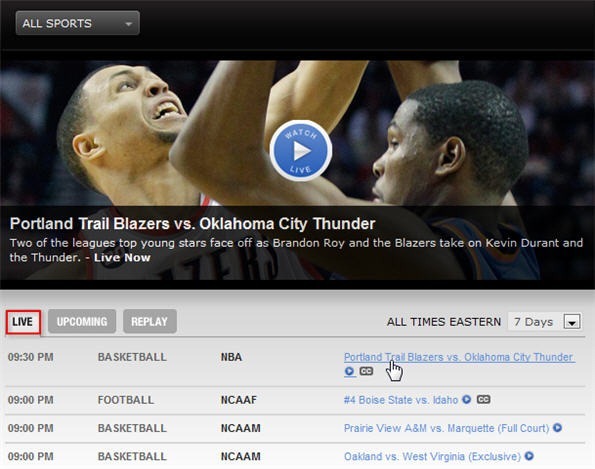 Once you log onto ESPN3, you’ll see the listing for the current (Live), Upcoming, and Replay games. 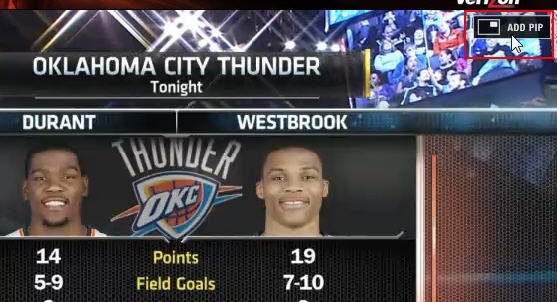 You have the ability to watch multiple games at once (up to 4) or watch Picture in Picture, but typically ESPN doesn’t show multiple NBA games at once. 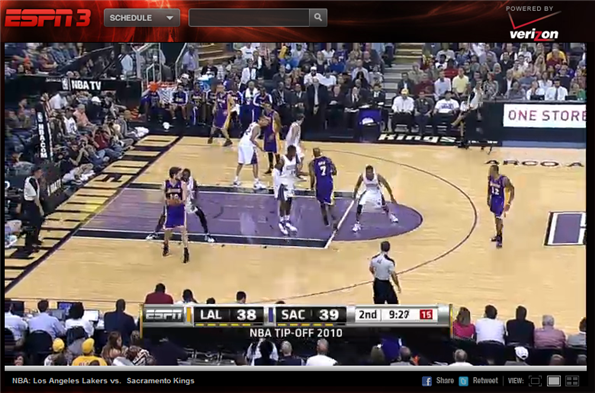 The feature is there, however, if you want to watch other sporting events along side the NBA game. Each game will be available On Demand, usually about an hour after the game, and are typically available for about 24 hours. So, if you missed a great game the night before and want to check it out, you’ve got a limited window of opportunity to do so. Previously, we took an in depth look at ESPN3 and what sporting events it offers. It’s gives you a great way to catch NBA games online if you don’t have cable or satellite or find yourself away from your TV. Here you can find the entire ESPN NBA broadcast schedule. Games are typically on Wednesday and Friday, but they do have a schedule of 3 games on Christmas day, and occasional Sunday night games starting in January 2011.